Medela recently surveyed 4,000 Australian mothers to understand where mums turn to for parenting information and support and the results were interesting. Medela aim to promote the health of mothers and babies and provide breastfeeding support and products. Here's what they found out. Like many mums I turn to parenting online support networks, websites, forums and apps to get information and support to help me on my motherhood journey. Some things have changed since my mum had me and have changed for me too since having little Miss with medical improvements and knowledge being more freely available now, sometimes it's easier to go online to quickly check something. I like having information at my finger tips especially when it is after hours and no one is available to answer my questions. That said, I personally wouldn't recommend doing Dr. Google too much as it can worry you to bits and things might not be as worse as you think. I have done this countless times and worried myself sick for no reason! If something really worries me about little Miss or little Mister, I take the little ones to my GP (even if it turns out there's nothing), ask my maternal nurse for general queries or call an after hours service if it can't wait to the morning. I get peace of mind after receiving that support. I have a range of online communities, websites, apps and services I turn to for information and advice. I am sure there are more out there and if you have any to add that might benefit other mums, please let me know in the comments section below. BabyCenter Australia - It is a great online forum for mums to ask each other questions they are concerned with, whether it is for themselves or their little ones regardless if they are big or small. I also find it is a great resource of information from getting pregnant to your child going to preschool. Raising Children Australia - It is a great parenting website with comprehensive, practical, expert child health and parenting information and activities for newborns to teenagers. I use it in combination with the RCH Kids Health Info site. Royal Children's Hospital (RCH) Melbourne Kids Health Info - Used by my Melbourne doctors, this site is great for quality up-to-date health information. I always turn to this site for advice for example on fever, falls etc. Royal Children's Hospital (RCH) Sydney Kids Health Info - Having recently moved to Sydney, the NSW site of the RCH is now a great resource for me. MyMedela - Medela recently launched a free app to help mums with their breastfeeding journey and tracking bub's sleep, nappies etc. I gave it a go recently and wished I had this app when little Miss was around, it would have made my life easier especially as I used to write her feeds down on paper. The fact that this app is free is amazing as other apps out there charge a fee. LOVE Talk SING Read PLAY app - Having recently moved to Sydney I found this app really useful as maternal nurse and immunisation appointments are slightly different from Melbourne. You can setup your children's health info and date of birth on there so you get reminders about immunisation and maternal nurse appointments and it has some tips on what to expect when your child is at a certain age. BabyBump App - If you are pregnant or have friends going through pregnancy, I highly recommend this app to record your pregnancy journey and get useful facts and info about bub. I bought it when I had little Miss and just found out it's free which is excellent. 13 SICK - Home doctor - I used this service a few times in Melbourne for little Miss when I wasn't able to bring her to the doctors and when my husband fell ill and couldn't get out of bed. It is a really good service. Nurse-on-Call Victoria - I used nurse on call quite a few times when I lived in Melbourne and found it really useful and the nurses walk things with you about your child and give you advice on whether to get a doctor to see them or go to hospital. Health Direct New South Wales - Just found that Health Direct is the NSW equivalent to nurse on call, will keep the number for future reference as the service provides health advice and peace of mind. Australian Breastfeeding Association - A great association helping and supporting breastfeeding mums. Download their free Breastfeeding Confidence ebook here. Information is great but if the little ones aren't well, seeing a doctor is always a great idea. With the recent move to Sydney, I had to get a NSW GP and found that I can book appointments online or via their App with them which is very useful when little Miss' fever runs high and it's midnight and I need to book her an appointment for the next morning - takes two seconds and I'm guaranteed an early spot! I experienced the Baby Blues with both of my children, mainly because of hormones but also because of post delivery medications. 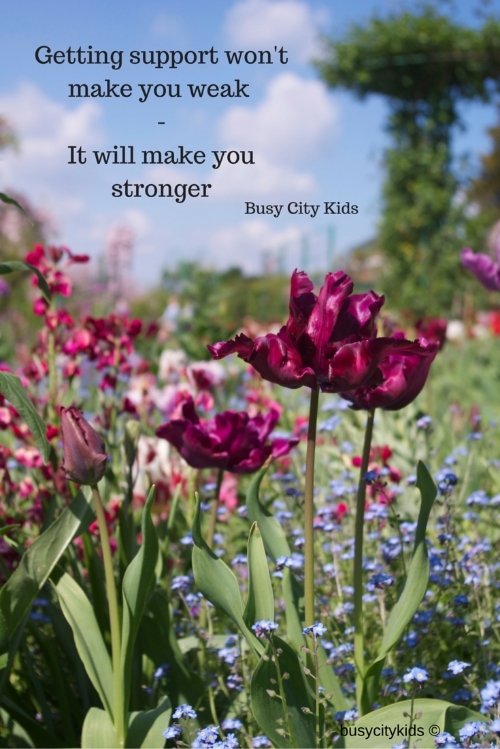 I found that chatting to my husband, my mother, my sister and friends helped me get through that week of baby blues. Those first few weeks after hospital are the hardest because of bub's routine and demands on you and your own recovery (that most people seem to forget about). Accept help from friends and family around the house or if you need groceries etc. it will benefit you tremendously. I made the mistake of not accepting help and was run down that first week after little Miss was born. Which is not a good idea when you are trying to recover from labour and being tired and stressed can affect your milk supply if you are breastfeeding. If you experience Baby Blues or something that lasts longer or feel anxious after having bub, talk to your maternal health nurse or GP. There is also the BeyondBlue website if you prefer to have a look at support in your own time. As some of you may know, I recently had issues with my milk supply. I visited a Lactation Consultant at my early childhood health centre and she was very supportive in recommending ways I could improve my supply and managing two little ones and making sure I take care of myself. One thing I noticed in NSW and I am sure they have it in VIC, is a great range of options available for children and yourself like lactation consultants, physiotherapists, specialists referred by maternal health nurses where consults are free. I have also used a physio for little Mister and that has helped us tremendously. Another great way to talk about your motherhood journey is joining a mother's group regardless of whether it is your first or second or third child it is a great way to meet mums in your area and share the journey with them. One thing to remember throughout this new journey is that we are all different and that's what makes us so special! I have learned that since becoming a mum comparing yourself and your family to others is not healthy as everyone is different and what works for others might not work for you and vice versa. Medela put together a video of mums in the social media space and asked them about their journey. It is a beautiful video that reminds us that our journey is unique and that we should be kind to ourselves. To help support you on your breastfeeding and motherhood journey, together with Medela we are giving you the chance to win a $100 voucher to spend at the Medela webstore. Entries close Friday 24th June at 5PM AEST. VIC and NSW newsletter subscribers/residents only. This post is a sponsored post by Medela and Kids Business however the information and views provided in this post are of my own research and experience. Services and websites outlined in this post are not sponsored in any way and are provided to assist mothers.